With 150 mg of real Ephedra extract, Hellfire EPH 150 is the product that serious athletes and dieters are turning to for help with their weight loss goals. This powerful fat-burning product has demonstrated its stellar weight loss potential for lots of users. Don't be afraid to try this product, even if you've used other diet pills without success. What are Hellfire EPH 150 Diet Pills? Hellfire diet pills certainly command more attention than others because the ingredients are precisely combined into a formula designed to target your metabolism. Cranking up your body's natural ability to burn fat will allow you to see results faster than before. If this product has produced these results for you, please make sure you share your experience for others by leaving a review under the tab labeled Hellfire reviews. Hellfire diet pills are unlike other diet pills. With a powerful combination of natural ingredients, Hellfire EPH 150 is designed to target the parts of your weight loss plan where you need the most help. With 150 mg of caffeine anhydrous, Hellfire EPH 150 is formulated to give you explosive energy, increase your metabolism, and burn fat quickly. Hellfire even works when you are not, boosting your metabolism when you are not working out. With 150mg of ephedra, Hellfire EPH 150 is not for beginners, but can greatly benefit serious athletes and bodybuilders who need to drop pounds fast. If you have used other ephedra based diet pills before and they have not shown results, try Hellfire EPH 150 and you won't be disappointed. 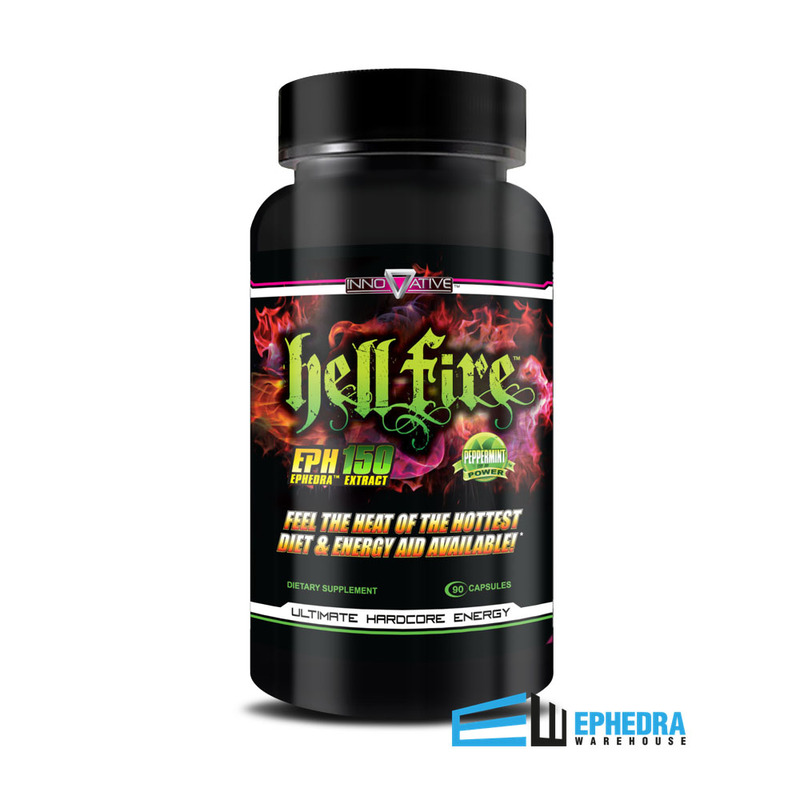 Hellfire EPH 150 is one of the most highly reviewed weight loss supplements on EphedraWarehouse.com. With its powerful proprietary blend of ingredients, users are seeing results faster than ever expected. When paired with a proper diet and exercise program, Hellfire 150 EPH can help you maximize results. If you are still wondering if this diet pill really works, check out the product reviews to see the results that other users have reported. I've been using this product for a few weeks, and all I can say is wow. Hellfire does what it says it's going to do. Crazy appetite control and loads of energy. I realize it has a different effect for everyone, but I do notice that if I don't take it with enough food, I will become jittery and nauseous. Just be sure to take it the right way and you'll be fine. If you need a kickstart with weight loss or a whopping boost of energy, buy this. 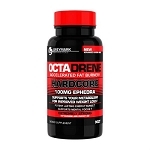 I used ephedrine as a diet aid & energy supplement for over 10 years. I have never found anything to replace my ephedrine until I tried HELLFIRE. Most ephedra products I have tried don't really work for me. HELLFIRE is the closest thing I have found & I am happy with the product! I will buy it again. I was going to wait until I used the product for a while, but because I have used other products, I must post my first day experience. I took my first pill at 9:40 am to be exact and by 10:00 am I started to feel energetic. I have a lot of energy, no jitters, and absolutely no hunger. I am very pleased because I have a very high tolerance for any meds or supplements. I usually have to take more than what is advised to get the effect, but not these! I plan to go on my normal work out and cut my carbs. I feel confident that I will be successful. Thanks Ephedra Warehouse! I will definitely buy again. They are a MUST HAVE. I am an amateur 48 year old female bodybuilder. I am always on the search for a great fat burner\thermogenic product that doesn't cause the jitters. So far so good with Hellfire. I am on my 2nd bottle and love the effects so far. I am down approximately 8 lbs...my goal is not to lose much weight but to lean out...gotta keep my muscle and as to date I have leaned out without the muscle loss. Will definitely purchase Hellfire again!! Don't really use them for the weight loss but more for the energy. If thats what you seek this is your product! But did drop 2 pants sizes! This pill is everything it says it is. I went from 166lbs to 147 in 2 weeks. ..i love it. I didn't have any issues with the pills.. no jitters or anything. 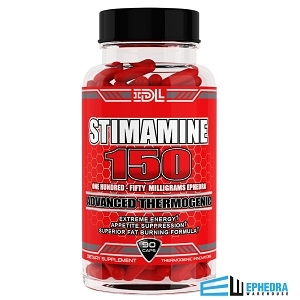 I have tried many Ephedra products and this is the best one I have found. They are a little strong for me in the morning so I open the capsule and dump a little of the powder out. Doing that has had a very positive effect! I have lost 7lbs in 2 weeks, I get up at 5:45AM for my morning workouts and I don't feel tired and dragging like I used to. Try them I think you will get the results you are looking for! Hellfire 150 is a great product!! I am in physician assistant school and it has given me the energy AND mental focus I need to stay up and study late into the night. It has helped me thru quite a few all-nighters for sure!!!! It also helped me drop 20 lbs in 6 weeks and I was not even trying. If you are dragging during the day, this will perk you up and then some. Be sure not to take 2 tablets at the same time. You will get extremely nauseated and may vomit! Trust me I know! They are just that strong, so take as directed. And if you need and want a strong energy booster along with weight loss, hellfire is for you! I love it!!! i heard about this from a friend and the weight he lost just from 1 bottle of this stuff. i've been taking it for 2 weeks now and i've lost 15 lbs. and it looks like the fat just melted off. it gives you energy that lasts a few hours. the only con i would say about this product is that you if you dont like to sweat you're gonna sweat a lot, which is great for me, and you gotta drink a lot of water. other than that, i love this stuff. i cant wait to see how much i lose from the whole bottle. Your product is amazing. I could definitely feel that it increased my metabolic rate and curbed all hunger cravings. I lost roughly 15 lbs in a month. I am not able to work out so I am happy I found something that actually works. ..Thank you. ...Please if you are not smart enough to take this correctly don't ruin it for the rest of us!!!! Good, but not in a way that I was expecting.. I bought these pills a while ago, thinking they would be "energy" pills. I work long hours for 14 days at a time, and have absolutely no energy for things. Well, for me, they didn't provide a burst of energy at first, but they are very good when you are at the gym, once you start moving, you want to continue moving and that helps a lot. 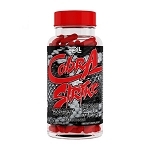 The most important thing these pills do provide for me, is being an appetite suppressant. Seriously, I have no desire to eat junk or snack on bad things all the time, which is a huge habit of mine, and has contributed to the large amount of weight I have gained. Don't get me wrong, I do eat, but I only eat half of my plate, I eat smaller meals, and don't have the desire to eat everything I see. That really surprised me, and I've lost some weight, I can tell by the looseness of clothing. Granted, it's not like I've lost 20 lbs in a month, but it's a start, I know I didn't gain all this weight in one week, it's happened over the years.I just think that by continuing to watch what I eat, not be tempted, and getting a good workout in, I will see some results, but I have "Hellfire EPH 150" to thank for help for it. Best product on the market currently = BEST value! There have been times I have not been able to "get my hands on" Hellfire & have tried other products, simply wasting money....glad they offer this at such a great competitive price, as I have seen this offered for over $50 per bottle & that is NOT within my budget....THANKS EPHEDRA WAREHOUSE! this is my very first time trying this product and let me tell you it is GREAT!! I've try all kinds of ephedra pills in the past, my last ones were YELLOW DEVILS but HELL FIRE by far is 10x better it is so great that starts going slowly in to your systems 'till really kicks in, I drink my first pill this morning and really suppress my appetite to the point that I force my self to eat my breakfast, makes me feel great, I highly recommended is worth every dollar spent, really happy, and will keep posting about how this baby keep working, my goal is to loose 50 lbs, so we'll see, thumbs up!! I would highly recommend this product. I experienced high levels on energy with no crash. Different ingredients than when I first ordered this product a year ago. Actually, it now is a more even and smooth delivery of energy without the jitters. They are strong. I open capsule and use only half at a time. No headache or crash, afterwards. Ephedra Warehouse reputable company w/fast delivery. Thanks!! This pill is great and its doing everything its suppose to. I am very impressed. I come down about 4lbs in a week. I will be ordering more. 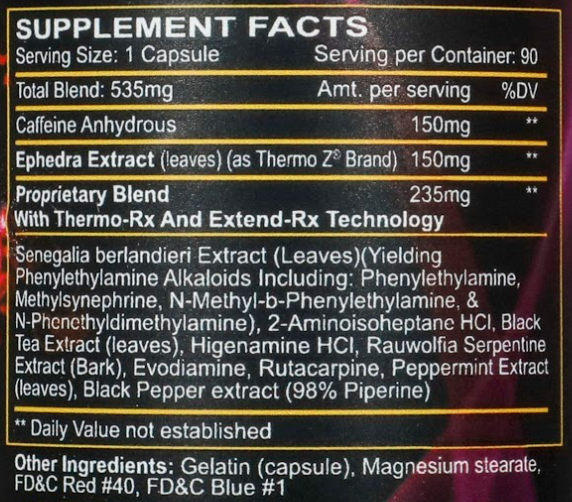 The first product I have ever taken with Ephedra was Blast and Burn, available at our local nutrition store. When the store closed I was bummed because the product was unavailable. Then the gym I belong to had hellfire. The owner said it was the best for fat loss and energy and he was right. I saw positive results within the first two weeks of taking the pills. I am happy to know of this website because the cost is half of what I normally pay. Cost isn't a priority, but it helps when you can save a few dollars! I love that it helps with breathing and opens the nasal cavity to allow clean oxygen to enter. And the pineal gland was decalcified because of the positive energy exchanged when combining the pill with running, weight training, and dancing. Blessings and best to future dieters.!!!! I've been using Hellfire for a few years now, and it is literally the best diet aid I've ever tried. I've tried other natural diet pills, and they just didn't cut it. With Hellfire, I saw rapid weight loss, and a huge difference in my performance when exercising. I don't know where I would be without it! It's a fantastic product! Good product. Thought with elevated ephedra content there would be more of a kick. Good appetite suppression, nice affect on BMR as you "feel" the heated feeling during cardio. 2nd best ECA product I've tried behind Diablo. I used plain ephedra pills WAY back before the ban and have since forgotten about ephedra! When I remembered the ban was lifted I found this site and this product and have been 2864% completely satisfied in all areas with it!!! Energy level, weight loss, the"burn", its like I found almost what I had before!! I bought this item about a month ago and YES it does work. I have to take it every other day due it's strength or I get an upset stomach and the jitters. The day I use it I make sure I drink a lot of water with it, so it doesn't upset my stomach. You may experience hot flashes and jitters, but it will surprise your appetite and give you that extra boost. Also, I don't know if others experience this but I have to take it early, at least 12 hours before bed time, because it takes that long before it's out of my system. If I don't I will tossing and turning all night. This is my favorite fat burner when it comes time to lean out during the cut season. Be warned that this supplement should be taken with cautious for I had situations where after I would complete high intensity interval training, I would obtain an upset stomach and vommit. For best results, I recommend that users are highly active and process a healthy dietary lifestyle. This is the bomb if you want to get dry and conditioned believe that. It's an amazing product! My body responded to it like when I tried winstrol V years ago. I got shredded in days, sweated like crazy, and it just kept going. Any body fat that I might have had between skin and muscle was gone; all this and I actually gained more muscle mass as I stacked Dymatize Super Mass Gainer on to my daily nutrition routine. Because I was burning everything off I needed a caloric intake of about 6000 calories a day to maintain and build. The energy is sustained, intense, and focused. 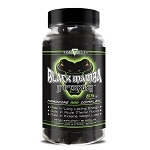 I was looking to replace the normal ephedra product I was taking which you can no longer buy and read the reviews on this product. I love it and I believe that in conjunction with exercise and watching what you are eating, it really does help to speed up your metabolism and help you lose weight! I gained about 35 pounds after I had surgery and I'm down to almost my normal weight again after using this product. I will continue to buy it! The only caution I have is that you really need to follow the instructions on not taking them within 6 hours of sleep as this is a very true statement! Hellfire has been THE BEST diet aide I've ever tried- and I have tried a lot of them. This works for me because it helps me balance my food intake and keeps me focused. I've always had trouble eating in the morning, but now I always remember to eat something soon after taking the pill and have made the easiest transition into several small meals instead of blowing off eating and then having something big at night. I've also craving such snacks as cucumber slices, watermelon and bell peppers. I feel great and actually doing things instead of just thinking about them- I'm starting to notice muscle definition and LOVE being able to have my cute clothes fit nicely. There have been no stomachaches, crashes or other weird side effects like I've experienced with other OTC products- just remember to drink your water or you will feel dehydrated. If you're wavering on a decision, give Hellfire a try. What have you got to lose? I have been usig Hellfire EPH 150 for 5 days and have gone down 4 lbs. I like the product, I do get a tiny bit shaky, not bad. I want to continue to use this as it is working. I always enjoyed the alertness and energy I received from Ephedra and was very disappointed when it was taken off the market.When I happened across this website I was overjoyed and after reviewing their products I purchased a bottle of Hell Fire. This product works as promised! I am very satisfied with the results and will buy this product again. I am however curious to try some of their other products also. Definitely worth the money. Hellfire pen 150 does work... U can feel the energy within 30min.. also controls ur appetite. Hellfire is fantastic for endurance and breaking through barriers. I have an affinity for eph and this pill does the job along with the right hydration, diet and training to get you there. I have been taking 2 pills a day, and I feel great. I will definately recommend these to a friend. EXCCELLENT PRODUCT. JUST DO NOT WANT TO LIVE WITHOUT IT. This product gives you energy as promised, kinda makes you crash a little by afternoon. But found out hard way do not take after 10 am if you want to sleep by night time. Is good product overall. Recommend to all. Have been using Hell Fire off an on for 3 years and I love it. Gives me the little boost I need before workouts. It is not the first fat burning product for me. I tried some others but there was no aproprite effect. And only Hellfire works. Use two caps a day and feel myself well. Overall, great product! I am very satisfied with my purchase this product gave me energy and also helped cute back snaking threw the day. I am definitely going to be ordering again. Q: I have to take drug test for my job a few times per year. Can I fail a drug test for taking Hellfire? A: To our knowledge, there are no ingredients that should cause you to fail a drug test in Hellfire. False positives are possible for every drug test. Even Ibuprofen can cause a false positive. However, we have yet to hear any feedback from any of our customers letting us know that they have failed a drug test. In the event that you ever do fail a drug test for a false positive, we recommend that you are forthcoming about what supplements you may have been taking. Was this answer helpful? 45 of 55 Customer(s) found this Answer helpful. Q: Is this a capsule? Tablet? I have trouble swallowing pills. A: Hellfire is an easy to swallow capsule. We guarantee satisfaction, so if you have any trouble we would be more than happy to swap it out for something else. Was this answer helpful? 25 of 29 Customer(s) found this Answer helpful. Q: When will Hell Fire Ship? A: I was super impressed with the delivery. I received mine two days after placing an order. Q: Why no longer for sale? Q: When will this item be back in stock? Thank you!